2016 has been a golden year for both business-oriented and media entertainment-oriented live streamers in China. The streaming industry was worth some RMB 10 to 15 billion RMB (US$ 1.45-2.18 billion) in 2015, according to an estimate by China International Capital Corporation. Some predicted that the market will expand up to RMB 60 million by 2020. The streaming hype was so intense that the government quickly stepped in to ensure that platforms are compliant with relevant regulations. In early November 2016, China’s Cyberspace Administration of China (CAC) released new policies requiring content providers to obtain qualifications. The administrative body also set rules on monitoring user data. Content varies from entertainment-oriented content like singing, talent shows, reality shows, and eSports to business-oriented content which sell products. E-commerce platforms such as Taobao and JD.com have both launched their own live-streaming platforms to sell products. Moreover, Momo, a location-based social networking app, has seen a significant growth after incorporating one-to-one communications live streaming function. According to app store rankings, among purely entertainment-oriented streaming apps, apps such as YY, Yingke (映客), Huyayouxizhibo (虎牙直播), and Douyu (斗鱼) won the top spots. 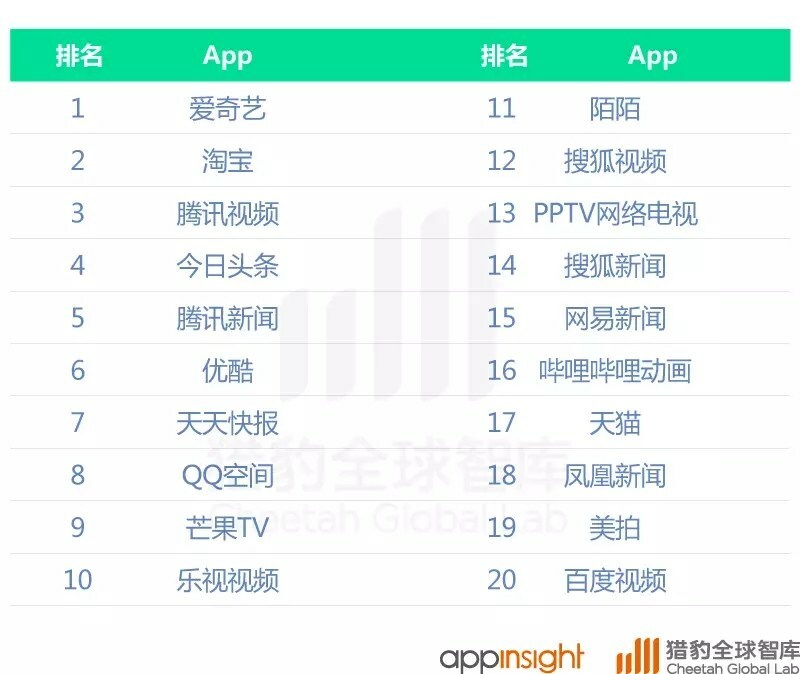 For commercial-use streaming, apps such as Aiqiyi (i奇艺), Taobao (淘宝), Tencent (腾讯视频), and Jinritoutiao (今日头条) won the top four, according to a report from appinsight. What is interesting to note, however, is the fact that these apps are listed under “social apps” in app stores. This unique blend of commercial streaming and social streaming got some people asking, so what exactly is the function of live streaming? While it is true that live streaming surfaced as a new “easy money” machine for millennials and big corporates, some further interpret the live streaming phenomenon as the extension of socialization. As the key to live streaming lies in the interaction between the streamer and the audience, the sales productivity is directly related to the success of the audience-engagement dynamic. The increase in the traffic and user activity directly translates into monetization of products, whether that is social or entertainment products. Would the pure virtual interaction without monetization be possible on live streaming, however? After all, many top wanghong (网红, Chinese for KOL) stream for living collecting virtual Lamborghini as an exchange for their performance. Streamers stream to regale the audience, and while not all streamers get some cash-back, most of them surely live on the “feedback” from the audience. As a result, the fewer the participants, the closer the streaming gets to social products; and the more participants, the closer the media entertainment products it becomes. “There’s been hundreds of platforms, and dozens of very gimmicky buzz-driving campaigns. Those types of campaigns are typical to any new platform. This year, however, things will start to change. Live streaming is no longer a shiny new toy; live broadcast is no longer just a case of showing up or having a gimmick,” says Jeremy Webb, Vice President and head of Social@Ogilvy for Ogilvy Beijing. So whether the streaming market will evolve into a hybrid of social platform that merges with professional content is something to look forward to. Those KOLs may superficially appear to be there for some companionship and entrainment values, but the power of branding and marketing behind the streaming is there to seep into the viewers’ mind.